Our house numers are available in brass, nickel, bronze and hand forged in a black waxed finish or pewter. To complete the elegant look, browse our full range of front door furniture. 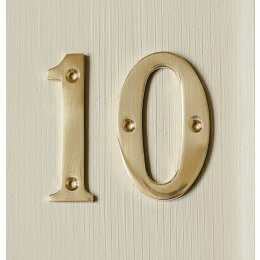 House numbers play both a practical and decorative role for our homes and properties. It’s how people find us and ultimately the way people navigate to get to your property. 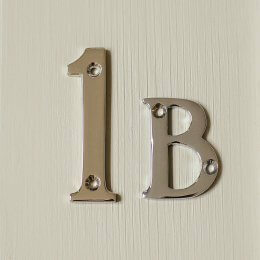 Although we rarely give it much thought, house numbers provide a simple, universal method for mapping and finding locations within your region. Especially with GPS, an address is the best, simplest, most direct way of finding a property. 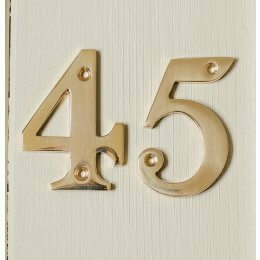 That being said, house numbers also serve a decorative function for our homes and properties as well. They are a way of adding character to your property and allow you to create an identity for your property. 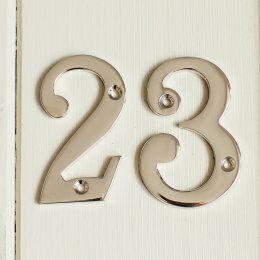 House numbers work relatively universally so that they are an efficient, convenient way of finding properties effectively. Typically, the odd numbers will be on one side of the street and even numbers will be on the other. The numbers will appear in ascending order so that you can easily determine which direction you must go down a street to find where you need to be. Since this is the first thing people see, you’ll want to give it character and make it a part of your property’s decor. 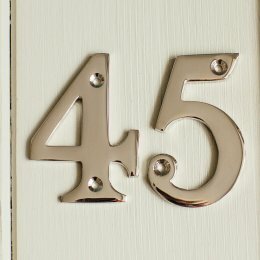 Using your house numbers in a decorative fashion gives them a dual purpose, combining their functionality with your landscaping and decorations. 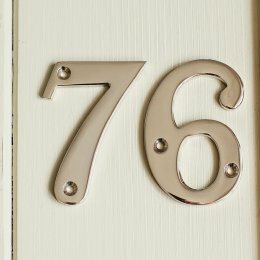 By choosing different materials, types, and styles of house numbers, you can use them to accent, highlight, and complement your home’s appearance. Ultimately, with such a wide range of options, you can use them to match or contrast in a way that will be appealing. Using natural stones in front of your property can also be an innovative and elaborate of way of displaying your house numbers. This decorative fashion allows you to create a very unique, personalized look for your home as well! 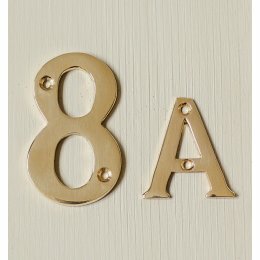 Our assortment of house numbers come in a variety of different materials so that you can match and create the unique style of your home. 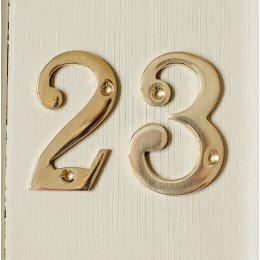 Our products can be built using nickel, brass, or metal; we even feature French-style house numbers as well. All of these options ensure that you can create whatever type of look you want! Our products can also come polished or unpolished depending on how you want the material to look and the appearance that you intend for your home. 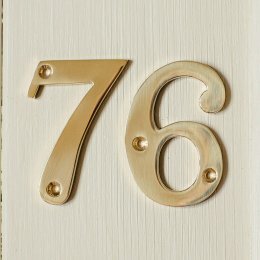 One of the biggest tips for house numbers is making sure that they are visible. This is the fastest and most efficient way for people to find you and will likely be the main method of getting to your property. By having a visible sign you’ll make sure that your family, guests, and deliveries can all find you easily and conveniently. Try to make sure that you get a relatively reasonable size - at least four inches tall and one inch thick should be fine. Get a colour that contrasts nicely with your house too. If it matches your home too closely, it may blend in and not be very visible. You’ll also want to keep any potential obstacles out of the way, such as trees and bushes. If you can’t see it from the street, other people can’t either. You’ll also want to consider how far your house is set back. 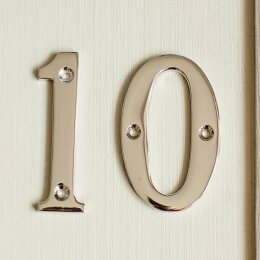 If your home is far from the street, you may want to set your house numbers closer to the street on a gate, post, mailbox, or other decorative application. Ultimately, keeping your house numbers visible will make finding your home easy. In the event of an emergency situation at home, first responders will act fast to come to your property. This response time can be impacted by their ability to find you, which can be impacted by the visibility of your house numbers. 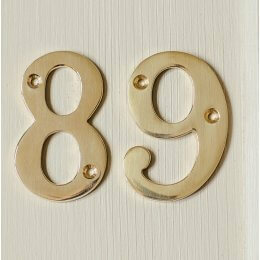 By making sure your house numbers are clearly visible, using a colour that contrasts the house, and keeping them unblocked by anything, you’ll ensure that your property can be easily found in an emergency situation. 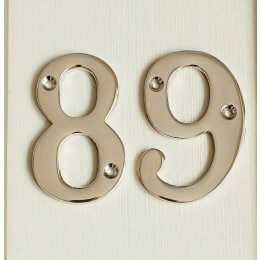 When deciding on your house numbers and installing them, you’ll need to consider both practicality and style. As a decorative device, you’ll want to make sure it suits the theme and decor of your home, but that it also serves its function properly. When installing them, make sure they are visible to the street and make finding your property easy.